Santa Rosa is the city with the Cherry Street Historic District, Ridgway Historic District, and Stonegate neighborhood. Enjoy the home of the Redwood Empire Ice Arena and Sonoma County Fairgrounds. We've helped many people with therapy, health and wellness in Santa Rosa and elsewhere in the Golden State. 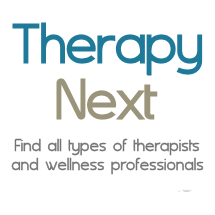 Therapists in Bodega Bay, Windsor, Petaluma, Sebastopol, Sonoma, Healdsburg, Calistoga.